Based in Minneapolis, Eastvold Furniture designs and crafts heirloom pieces that can "be passed down to future generations." The Elko series includes coffee tables and large and small credenzas that marry modern construction with midcentury form. 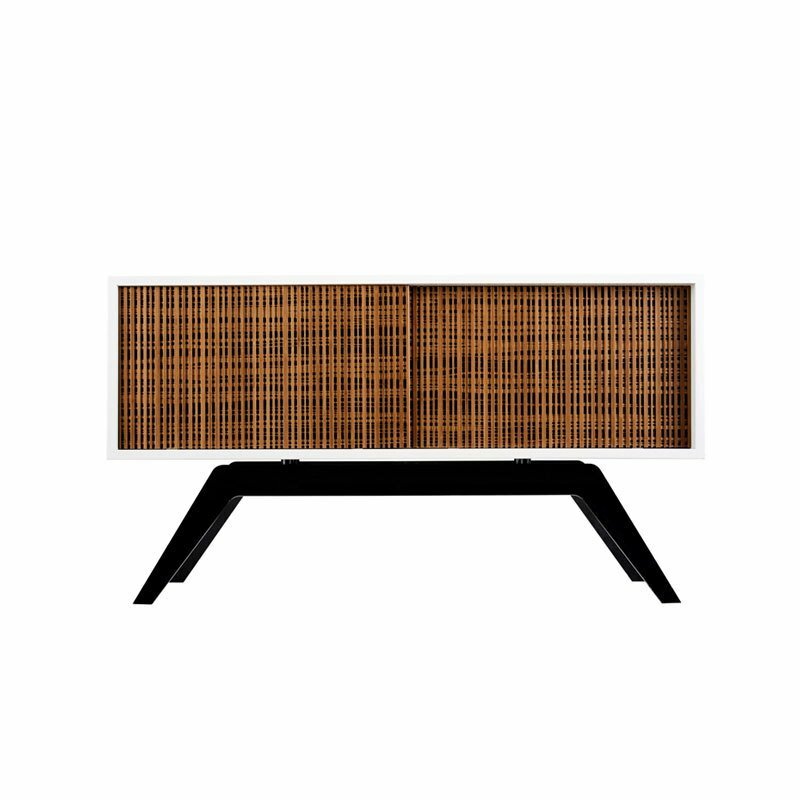 Choose from a variety of colors for the laser-cut steel base and from bamboo, walnut, or white oak for the wood. Reinforced mitered joints allow the grain to sweep around the furniture. On the credenza, two grain-matched doors part effortlessly to reveal adjustable shelves and wire management portals that allow flexibility in media storage.